(P1) The Vietnamese government recently honored Prof. Baek Rong-min, 58, a plastic surgeon at Seoul National University Bundang Hospital, for his decades-long humanitarian work treating Vietnamese children who suffer cleft lips and palates. (P2) Cleft lips and palates are birth defects, in which the tissue of the upper jaw and roof of the mouth fail to fuse during gestation. (P3) The surgeon received the Friendship Medal of Vietnam on June 17 when he was visiting Hanoi with a team of 21 doctors and nurses for their latest humanitarian mission. (P5) Since 1996, Baek has treated 3,707 Vietnamese children through Smile for Children, a nonprofit organization founded by his older brother, Baek Se-min, dedicated to treating children with the birth defects across Asia. (P6) In 2003, the hospital joined in the mission and since then Baek has been inviting Vietnamese doctors to Korea for surgical training. The doctor also has treated children in Mongolia, Myanmar, Indonesia, and Uzbekistan. (P7) Baek goes to Vietnam every year. During his latest mission from June 12 to 18, his team treated 135 children and donated surgical equipment to a local hospital. (P8) In a recent interview with The Korea Times, Baek said that although the operation is relatively short and simple, every surgery makes him nervous because the children will live with the results of the surgery for the rest of their lives. But he said seeing the children’s smiles after surgery is worth all the doubt and pressure. (P9) His humanitarian work has been recognized before. 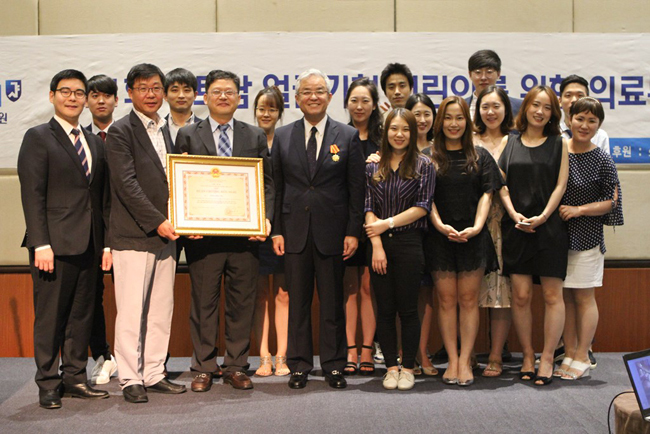 In 2013, Baek was honored by Seoul National University and also by President Park Geun-hye. In 2014, the Audrey Hepburn Children’s Fund, a charitable organization, gave him its humanitarian award for his work. Why does Professor Baek Rong-min deserve being honored? Name some other nonprofit organizations. Can you think of a person in your country who deserves to be honored for their nonprofit work? Why? Who recognized the plastic surgeon for is nonprofit work? Where else has the plastic surgeon performed treatment on children? How often does the plastic surgeon visit Vietnam?